Family narrowly avoids being hit by London Tube train by hiding in pit under track. 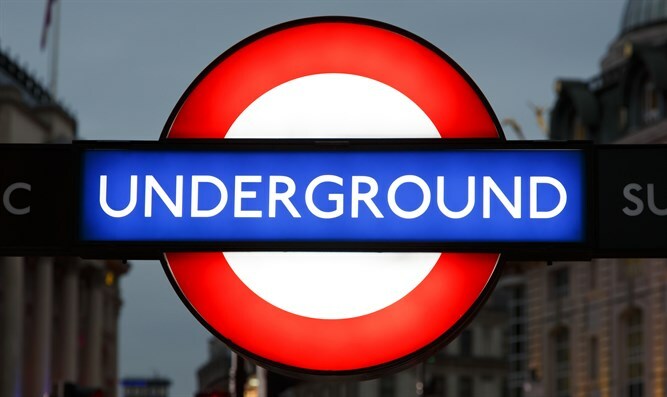 A mother and her child who fell onto the track on the London Underground narrowly avoided being hit by a train by hiding in a pit beneath the rails, police said Saturday (Sep 8). The child's father also took shelter as the train passed overhead, after jumping down to help them on Friday evening at Baker Street Tube station. "Amazingly none of them were seriously hurt, but as a precaution they were taken to hospital for check-ups," said a statement from the British Transport Police. The woman was pushing her child in the buggy along the platform while looking up at the board that indicates when the next train will arrive. "She didn't realise how near she was to the edge of the platform and accidentally pushed the buggy wheels over it," the statement said. "She, the buggy and the child fell onto the track. The father jumped down to help them. "When they saw a train coming, all three were extremely fortunate in being able to move into a pit under the track and the train passed safely over the top of them."